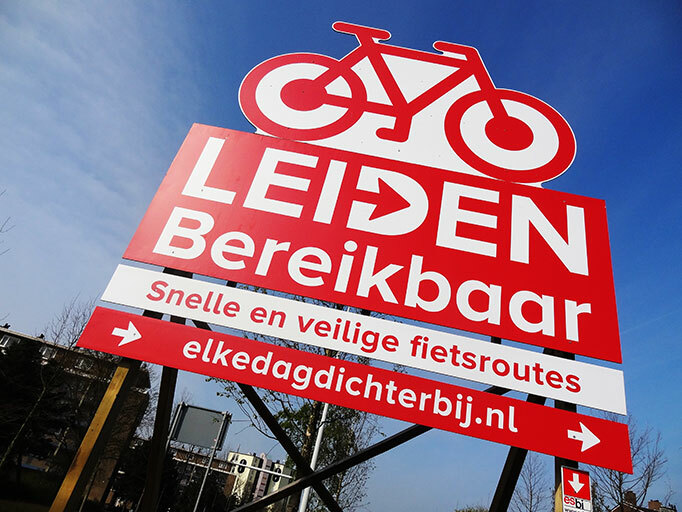 The city of Leiden, in The Netherlands, is investing millions of Euro’s to improve the accessibility of the city by building new roads, upgrading bicycle paths and increasing the efficiency of public transport. These are long-term projects that unfortunately come accompanied with their own problems, including broken-up or closed roads, detours and delays and more. For the long-term success of the project, it is important that the public understands and approves. The city therefore launched an awareness campaign to involve the general public in the process. Design agency DoubleMatured headed up this awareness-raising project, and I participated in the team that executed and developed the campaign. The campaign included an interactive website, billboards, posters, flyers and a roaming bicycle that was used at markets in order to attract the public. DoubleMatured was the lead in this project, having won the tender process for the campaign. In order to submit the bid, they had assembled a team that consisted of myself, Taco Oosterbaan, Jeroen Visser and Frank van Kesteren. Our first task was to brainstorm the culture that exists amongst the inhabitants of Leiden, as well as the full impact and importance of the construction projects. For inspiration, the first brainstorming session was held in the National Museum of Antiquities. 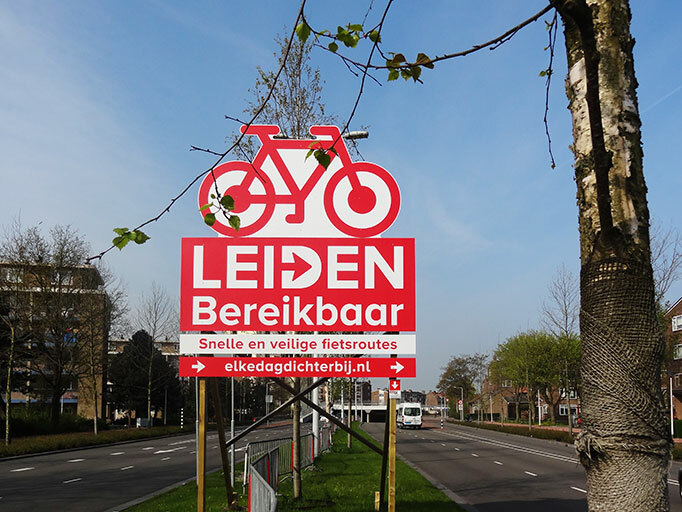 A second brainstorming session led to the slogan and concept behind the campaign: "Leiden, closer every day", playing on the fact that the improved of accessibility will bring the city closer to its inhabitants and visitors. Soon after the project was initiated, DoubleMatured further developed the visual identity of the campaign, and the implementation phase started. This included the construction of special billboards in key areas around the city, designing posters to be placed along the roads and on shopping streets, and developing a fully interactive website to engage the public. The main goal of the client was that the inhabitants of the city are involved in the projects and plans for the city. The media were therefore used to draw visitors to the website, where they could discuss and discover the projects in more detail. My role in this project was twofold. Firstly, I was part of the team that developed the concept used to win the tender process. This included participating and helping to guide the brainstorming sessions, as well as assisting in the further development of the concept in greater detail. Once the project had started, I was largely involved with the development of the interactive website. Together with the client, DoubleMatured and I designed the specifications and sections of the website to ensure maximum participation by the public. Once these specifications had been decided, and after DoubleMatured had created the visual designs, I developed the website together with Renaissance IT. DoubleMatured was the principal for this project and headed the entire team. DoubleMatured was also the lead on all visual design for this project. Renaissance played a key role in developing some of the software technology needed for the interactive website of the campaign. 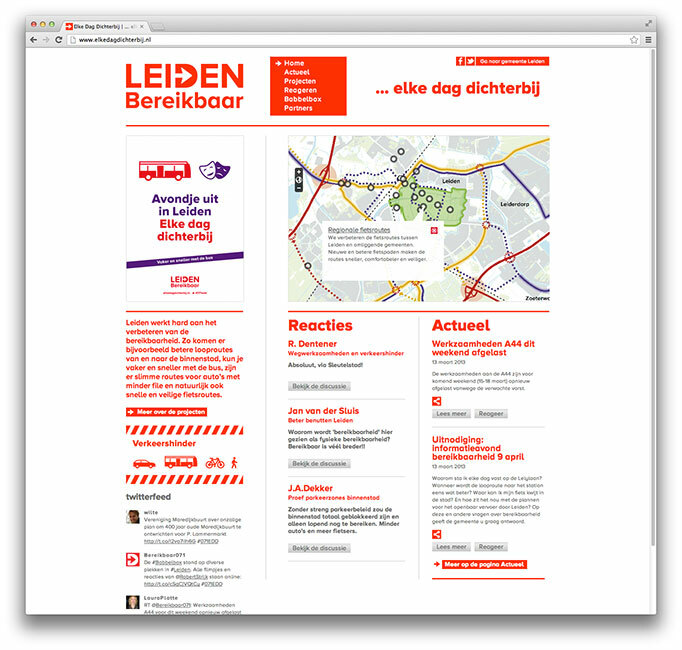 Thijs worked on the web development team, implementing the design. Taco was involved in the initial brainstorming for the campaign concept, prior to winning the tender process. Sun worked on the design team for the website. Jack worked on the design team for the website. As the campaign has ended, the website is no longer available online. Click the image below for screenshots. The campaign included posters along the roadside, and Boomerang cards that were placed in locations around the city. Some examples of the posters can be seen in the slideshow. Billboards at key access roads to the city advertised the website and drew people's attention to the campaign. 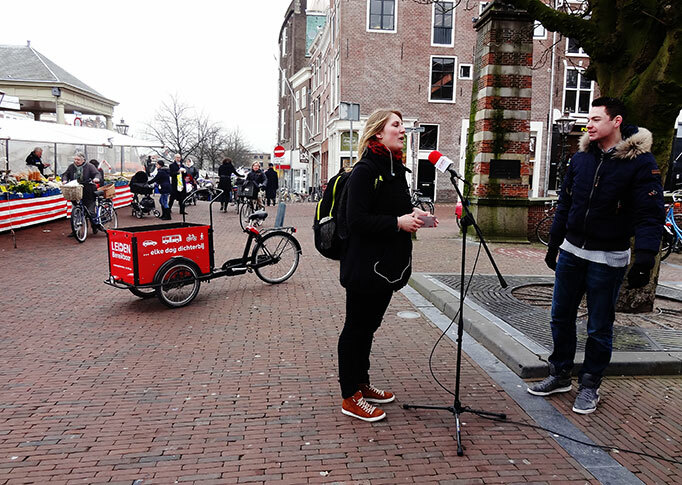 A “bakfiets” (cargo bike) was moved between different locations in the city, where it was used to draw attention to a filming station for people to ask questions or comment on the construction projects. 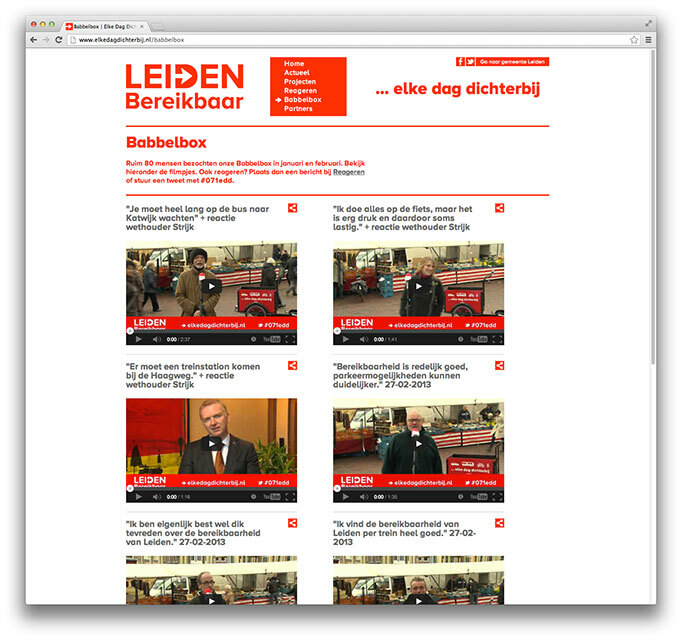 The “wethouder” (alderman) recorded reactions to these comments or questions on the website. Some of these videos can be seen on the city council's YouTube Channel.